If you are searching for some attractive piece of light granting accessory for your classical interior, the golden Tiffany lamp will be an excellent option. 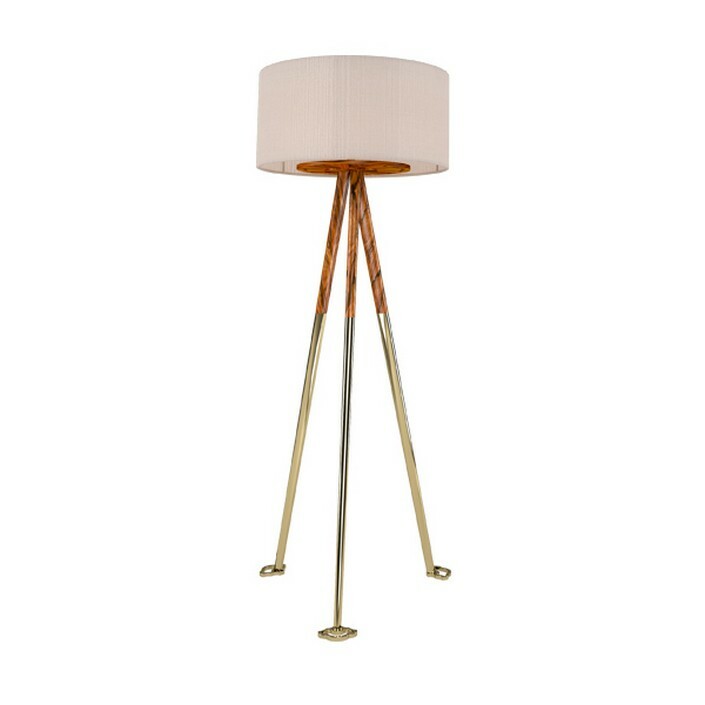 The floor lamp of this kind will find a place in your house for sure. One can use a 100W lamp and that would be enough to grant light to a rather huge room. Moreover, the manufacturer states that the gold plated covering of the lamp won’t fade with time and will remain as shiny as ever. 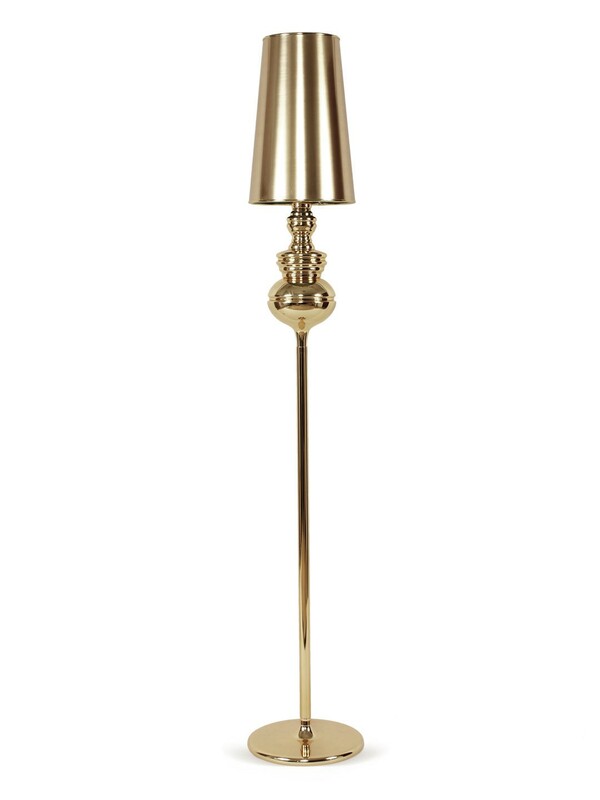 Perhaps, this lamp was inspired by the staff of ancient Greek god Hermes, which was god of wealth and trade. 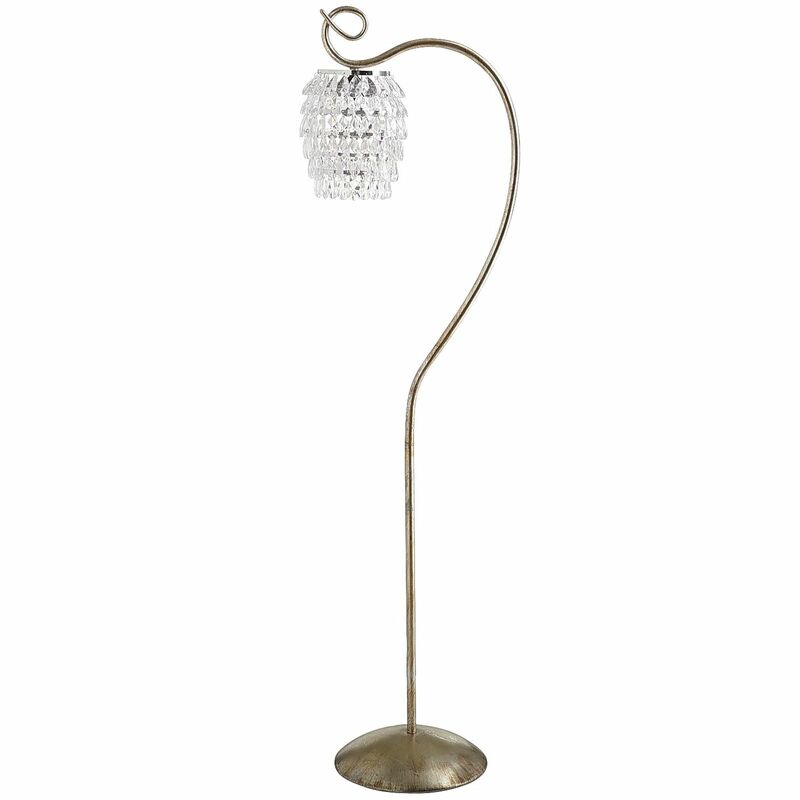 This lamp looks really wealthy and overall design of this accessory will surely add some luxury to you interior. The gentle helix shaped leg is really something that is worth to look at. Overall dark gold color adds some peculiar charm to this lamp and the dimmer made of natural cloth crowns the whole look of the gorgeous thing. 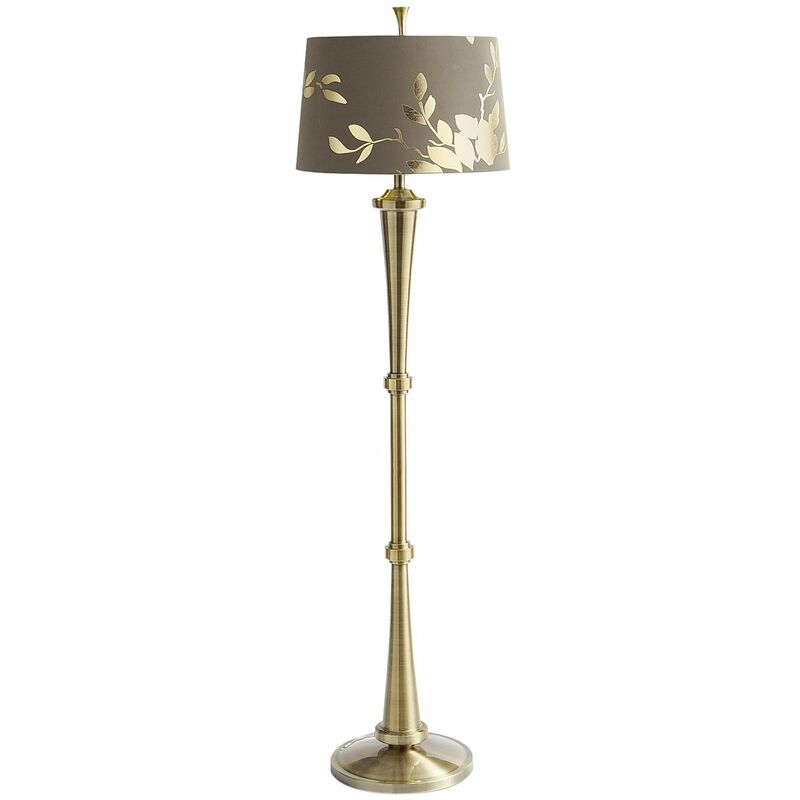 This gold painted lamp will surely suit your interior due to it’s classical shapes. The silk lamp shade is elaborately embroided with noble looking golden foliage. Regardless of the thin leg, it has got a wide radius basis with anti-sliding coverage, so this lamp will definitely find its place on any surface. It is possible to use the lamp of almost any power up to 120W, so it would be up to you to decide what light do you want to have bright or dim. This lamp looks so tender and fragile, but it fact it is not truth. The lamp is a rare combination of perfect shape and unusual design which results in a very close resemblance to nature and reminds about a beautiful bluebell in the field. This gorgeous looking crystal flower will add some magic to your nest and will become the center of attention of your visitors. In addition, it is easy in cleaning, just rub it with a duster and it will shine again with gold. Many people dream of having a palm tree right in their houses, some people have already got a real one. What about getting an artificial one that will grant you light? 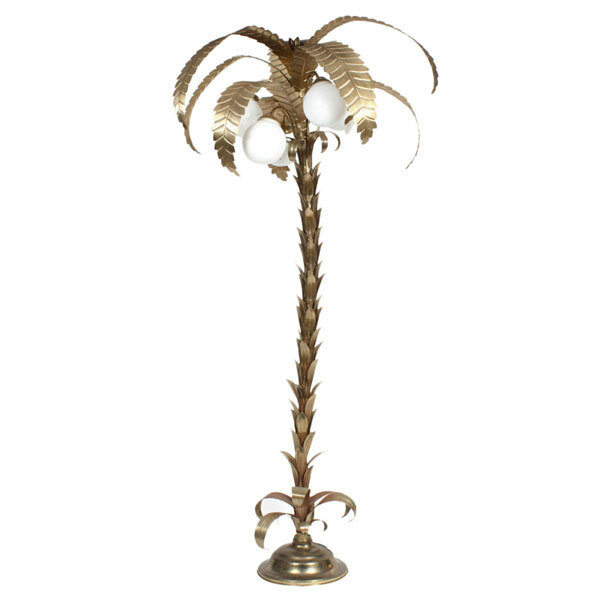 This palm tree golden lamp will bring the warmth of an ocean beach to your house and you can enjoy the sun under the palm tree whenever you like. Each element of the lamp is creatively crafted by the hands of real masters and the structure of the leaves is truly astonishing. This lamp would look gorgeous in some antique, classical interior. It seems like this lamp was taken from royal palace and moved to someone’s private house. An expensive Bohemian glass finalizes the overall luxury look of the item rising its beauty to the next level. The crystal color and metal can be selected so you can create your own personal lamp masterpiece. 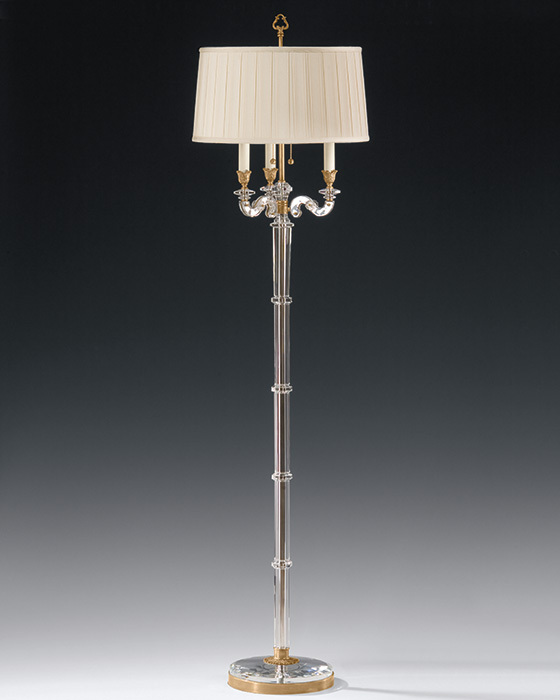 This lamp would be perfect for evening reading in an armchair. Crystal and golden components of this item are perfectly united into a single fashionable symbiosis. The shade is made of soft creamy colored cotton and you can put a 150W lamp into this lamp to engulf everything in light. 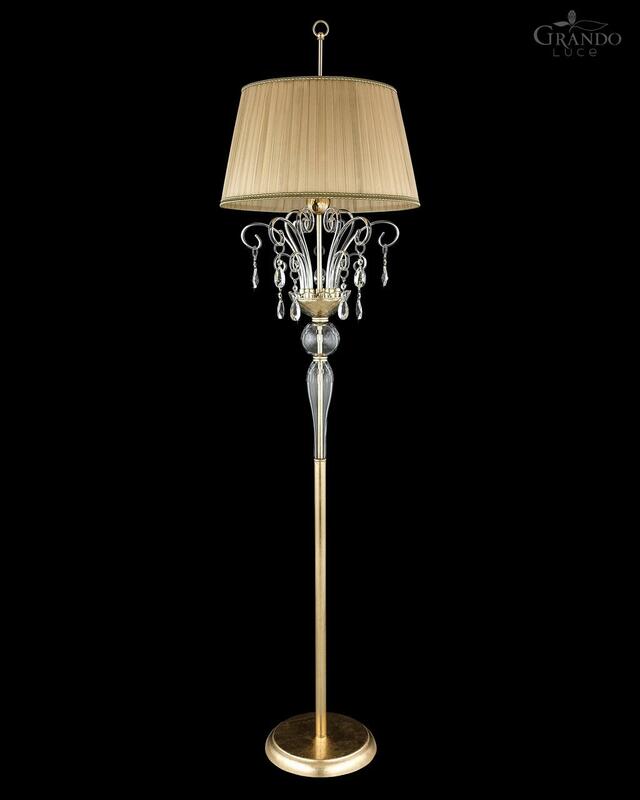 The masterpiece was developed by Italian designers which have almost a hundred years lamp making experience. For many years the stories of sirens which lured the sailors existed in many myths. The designers were inspired with these legends and decided to create the lamp of an unusual style. This scales shaped lamp is made of natural materials which are fully covered with brass and gold plated paint. The shade is performed in a fine natural fabric and inside you’ll find three 40W lamps. This is an excellent acquisition for a modern style premise. 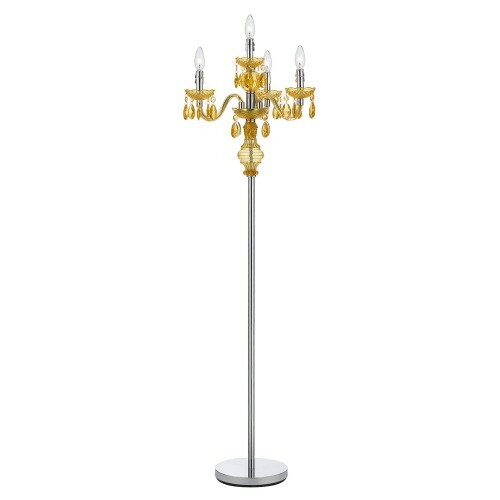 You’ve definitely seen such candle sticks in some historical movies, where characters walk along the castle corridors which are lighted by flickering light of candle sticks. This item looks similar to its forefathers, but instead of fire it uses electricity. Breathe some retro air into your room by using this lamp. The peculiarity of these items is that they are totally handmade and although the models might look similar, each item is unique in its own special way. 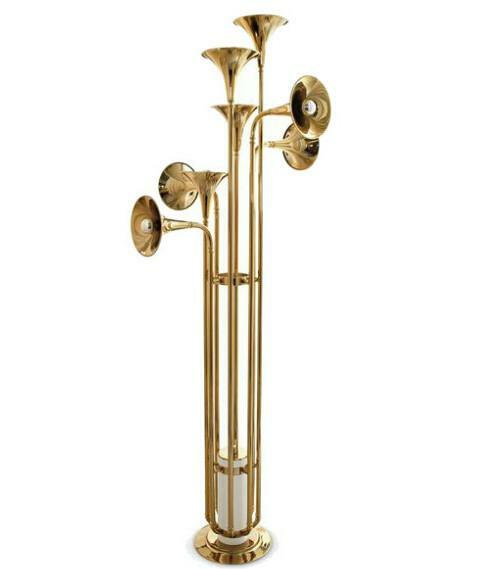 The Portuguese designers decided to create some special lamp style for those people which love music. They used popular musical instruments as the source of inspiration. The most popular jazz instruments were transformed into Ar Deco masterpiece. Eight lamps with 360 degree direction cast light in all directions making everything visible as during the day.